The Hub » Inghams Top 10 Offers Of The Week! 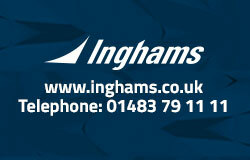 Inghams Top 10 Offers Of The Week! The best Spring skiing for a generation! With great deals and great snow, this is 'The Year of the Easter ski holiday'. If you're thinking of taking a late skiing trip but worried about snow conditions – don’t be! Snow conditions across almost the whole of Europe remain nothing short of superb. Easter is less than a month away and with current conditions prevailing, you can be sure of perfect pistes and fantastic value for your holiday pound with these great prices. and remember to replace !!!id!! with your affiliate id. Our new March Banners have now been uploaded!